Dr. Tobiasz earned a Psy.D. in Clinical Psychology in 2007 and a M.A. in Forensic Psychology in 2005 from The Chicago School of Professional Psychology. Prior to his arrival on the DC Campus, Dr. Tobiasz served as a Psychological Associate within the Wisconsin Department of Corrections at several maximum security institutions. He implemented and facilitated the first evidence-based practice treatment groups within the Wisconsin Department of Corrections including Illness Management and Recovery (IMR) and Social Skills Training for Schizophrenia. He co-facilitated Dialectical Behavioral Therapy (DBT) treatment groups for those who engaged in significant self-harmful behavior. He conducted comprehensive intellectual and personality assessments, with emphasis on performance-based measures. 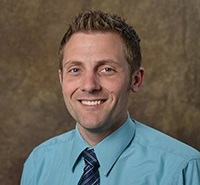 Dr. Tobiasz served as an adjunct faculty member for four years on the Chicago Campus and has taught a variety of assessment courses with considerable experience developing courses in the Forensic Psychology Program. He has given numerous professional presentations and has trained correctional staff members on such topics as suicide prevention, ethical dilemmas within correctional facilities, cultural competency, and working with mentally ill offenders. He is an active member of the Society for Personality Assessment, serving as co-chair of the Education and Training Interest Group. He serves as a consultant and has appeared in the Reelz cable network series Copycat Killers. (2016, March). Copycat Killers, Natural Born Killers, Reelz. (2016, February). Copycat Killers, Scream, Reelz. (2014, December). How to Avoid the Holiday Blues, WUSA9, CBS.